My little M is about to turn 1 year old and while I’m not ready to really believe that, I am ready to throw him an adorable birthday party. 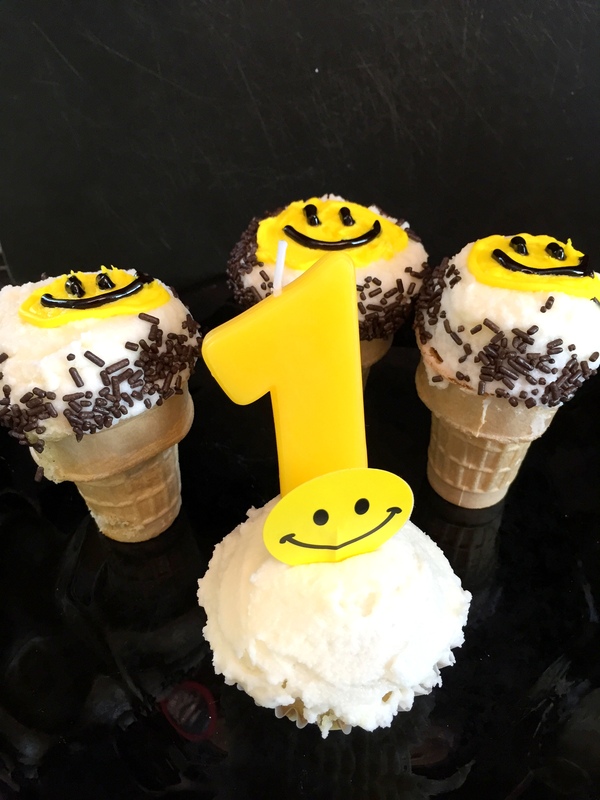 Since he has always been the happiest baby ever I decided long ago that a simple smiley face would be the theme of his first birthday party (we had a very small party this past weekend for local family, his actual birthday is still over a week away). 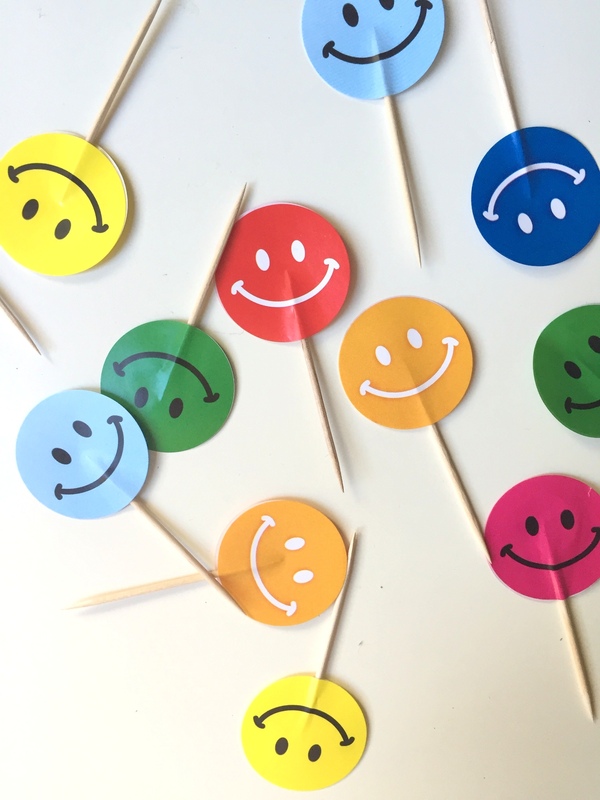 Of course I was willing and excited to make a bunch of the decor I was surprised that there was minimal options out there to buy smiley face decor. 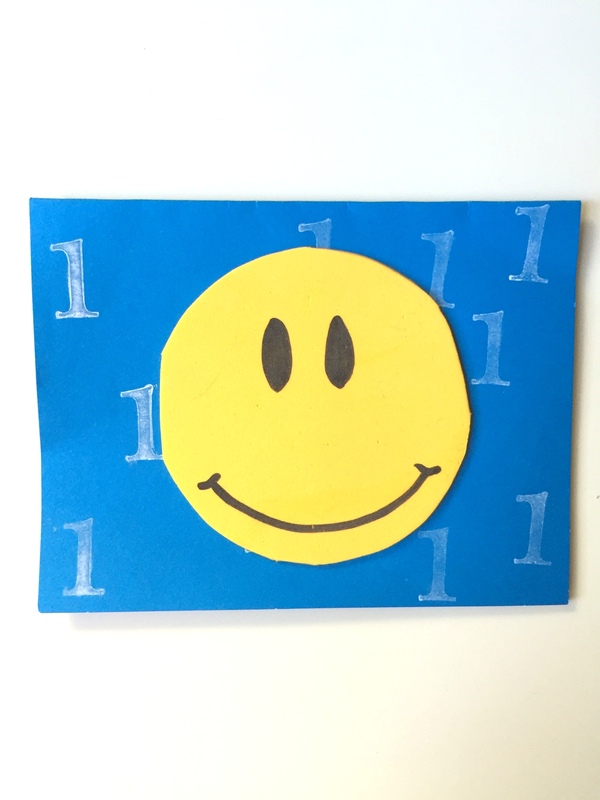 In fact, M and I spent a good 1/2 hour one morning traipsing through every aisle in a party store and came up empty on smiley face birthday party decor. So! 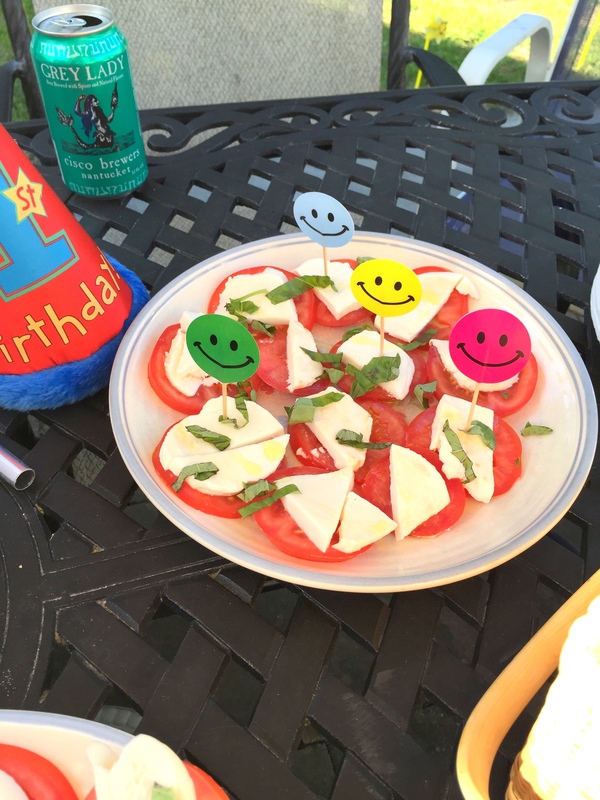 Here is how to throw a smiley face birthday party with some handmade decor and some decor purchased from a store (well, Amazon actually). As with any good party, I sent a little handmade invitation to set the date AND the party theme. 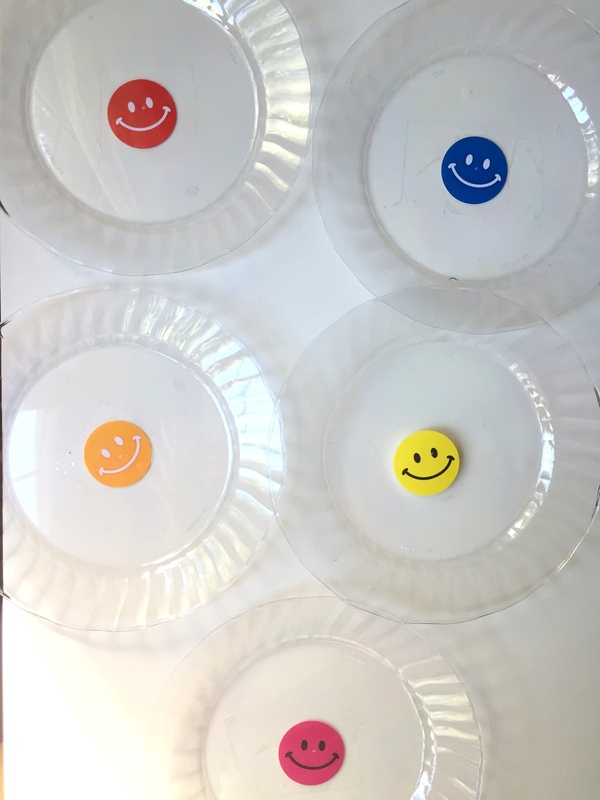 I found a roll of smiley face stickers on Amazon and made a few items…these plates where I simply found clear plates at Target (in the paper plate aisle where they were $6, not the party aisle where they were $15!) and taped a sticker on the bottom of the plate using clear packing tape. I made little toothpick decorations by sticking 2 stickers back to back with a toothpick in the middle. I ordered a shirt on etsy so he would coordinate with his smiley face theme. 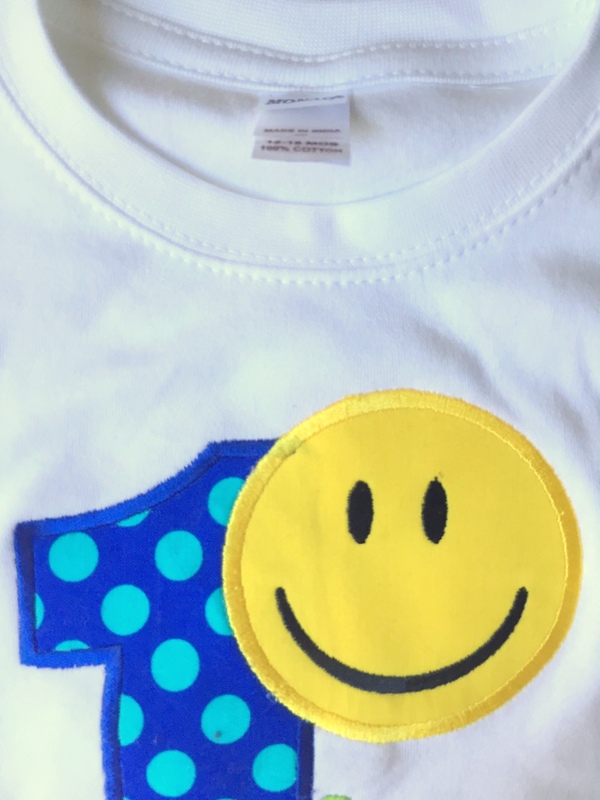 I couldn’t find a smiley face shirt so I worked with Jen, owner of the Bowdacious Baby shop and she customized one for us, it came out perfect. I made a cake for the adults and these little cupcakes for M, Z, and their cousins. 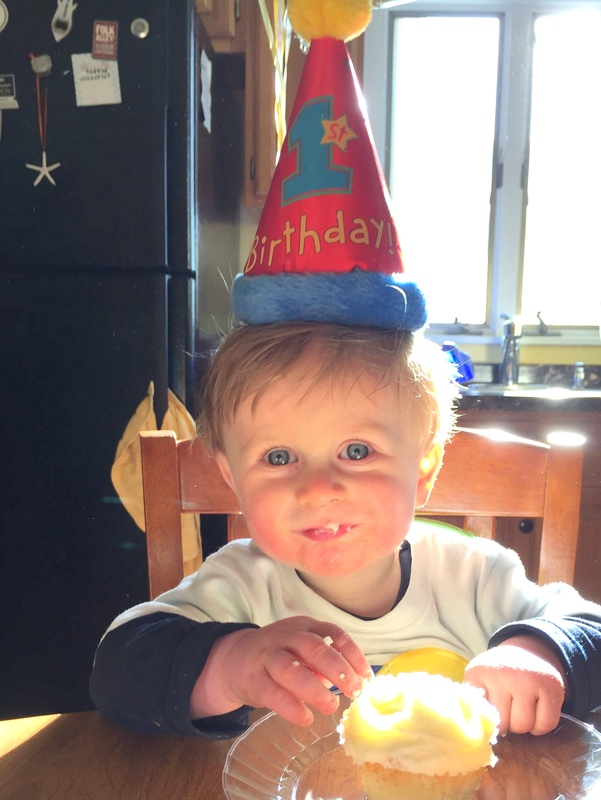 ….I mean – cutest (almost) one year old ever, right?! 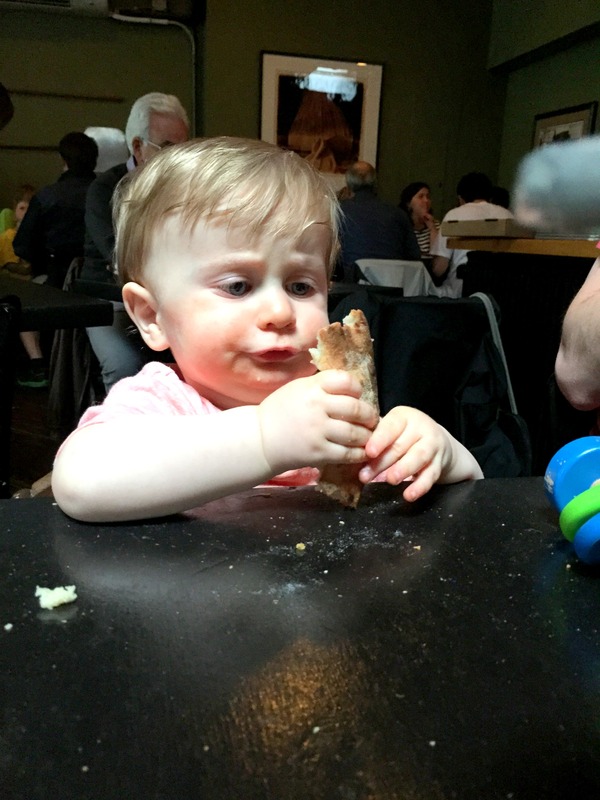 I think he agrees that the pizza (well, the crust for him) from Figs is our local fave. 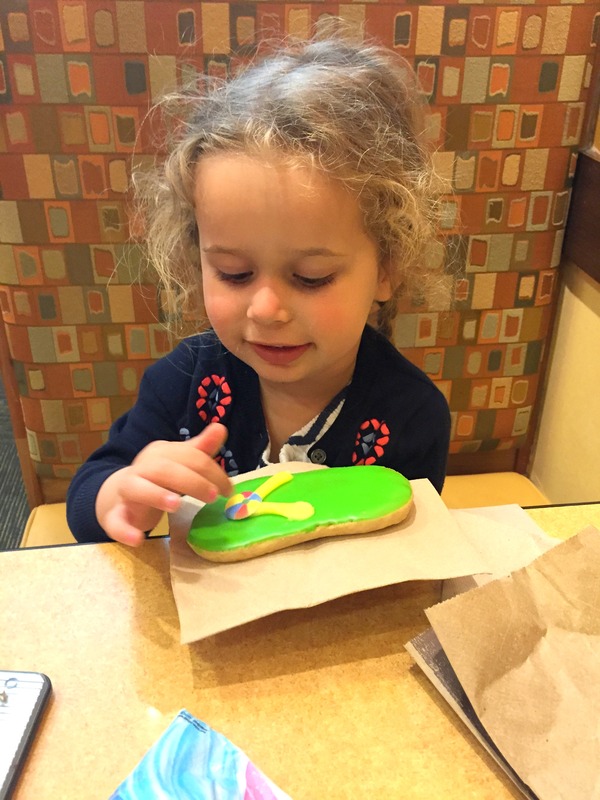 And nothing welcomes in summer like a giant neon green cookie shaped like a flip flop! 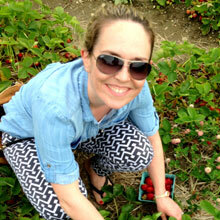 I am so excited to introduce you to a new sponsor at Styled by Jess – Offray Ribbon. I’ve used their ribbon in the past (here) and love, love it! They’ve recently launched an online shop for their ribbon so you can shop for any color, size, pattern you need right online. I recently used some bright, summery Offray ribbon to make my own table runner. 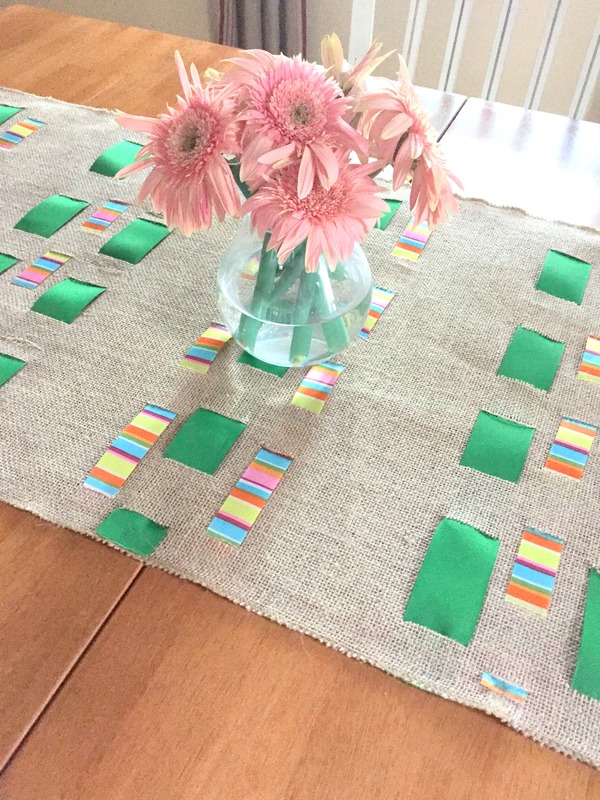 I always like to freshen the look of my kitchen table every season and/or holiday so I thought this Burlap and Ribbon Table Runner would be perfect for a bright summer look. To make your own Burlap and Ribbon Table Runner you’ll need: a roll of burlap (I found a role that was 2 feet wide and perfect to make a table runner with), very sharp scissors, glue gun, measuring tape, and ribbon – I chose 2 of different size and color/pattern to make it look more interesting. 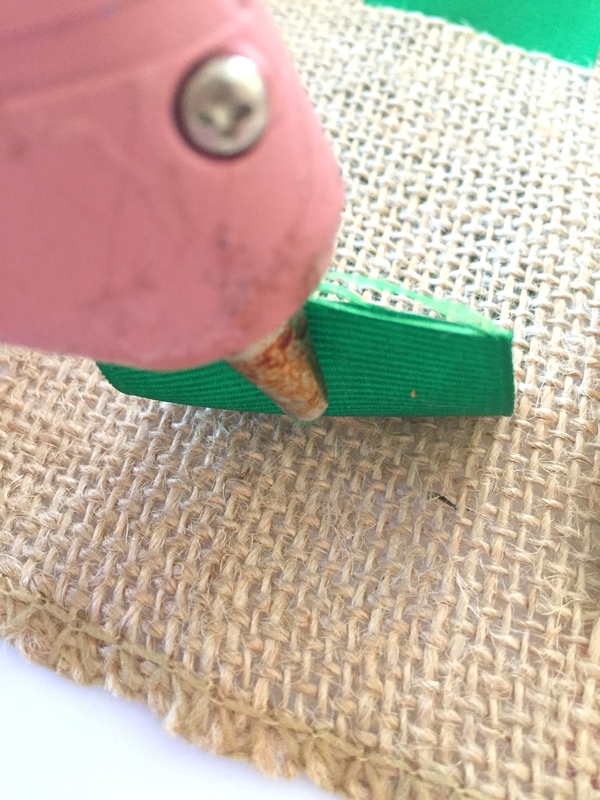 Start by measuring and then cutting holes into your burlap that you will weave the ribbon through. 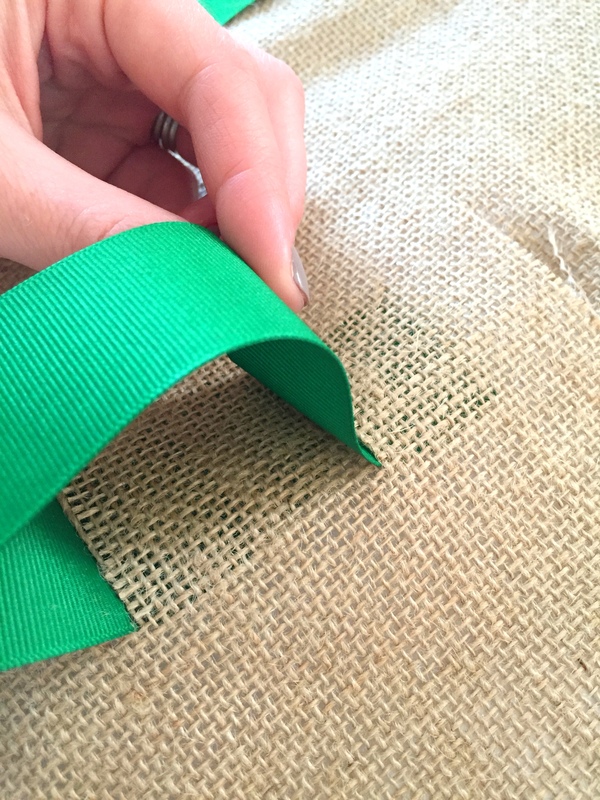 For example: the green ribbon is 1 1/2″ thick so that is the width hole I cut in the burlap. You can make the distance between holes however large you want – I like the look of a long amount of ribbon between weaves so I went with 2″. 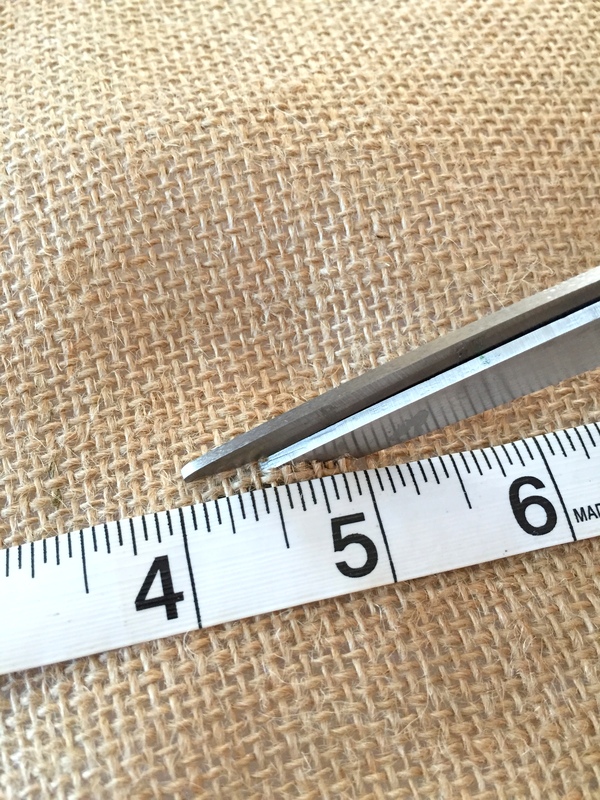 Cutting into burlap is very forgiving so don’t worry too much if you end up cutting too much on any of the holes. Once your cuts are made for that row of ribbon, cut a piece of ribbon to the width of your burlap, and weave through each hole. 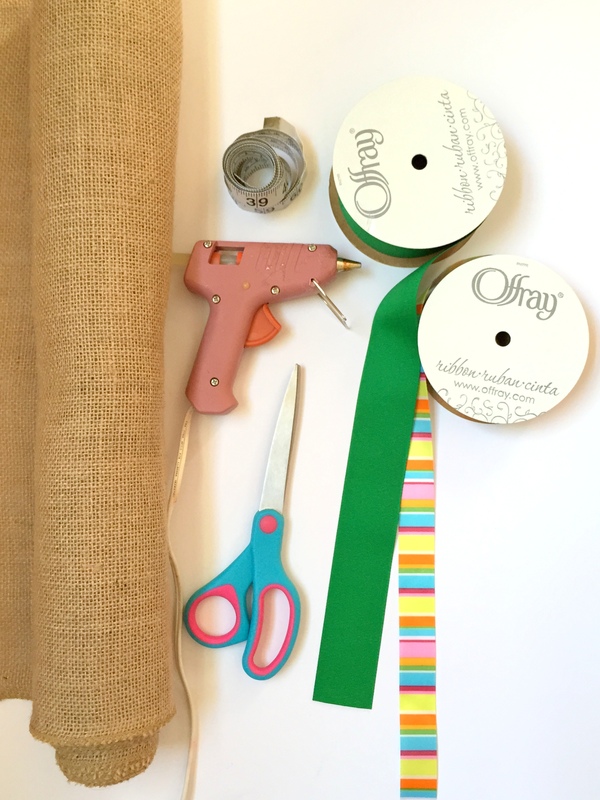 Use your glue gun to glue down each end so the ribbon doesn’t slip out of the holes. 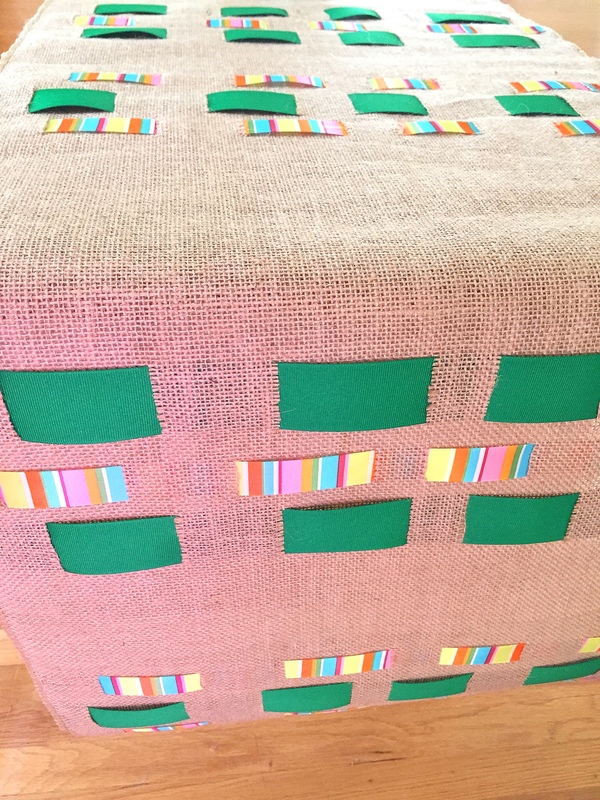 Continue cutting, weaving, and gluing until desired pattern is reached. 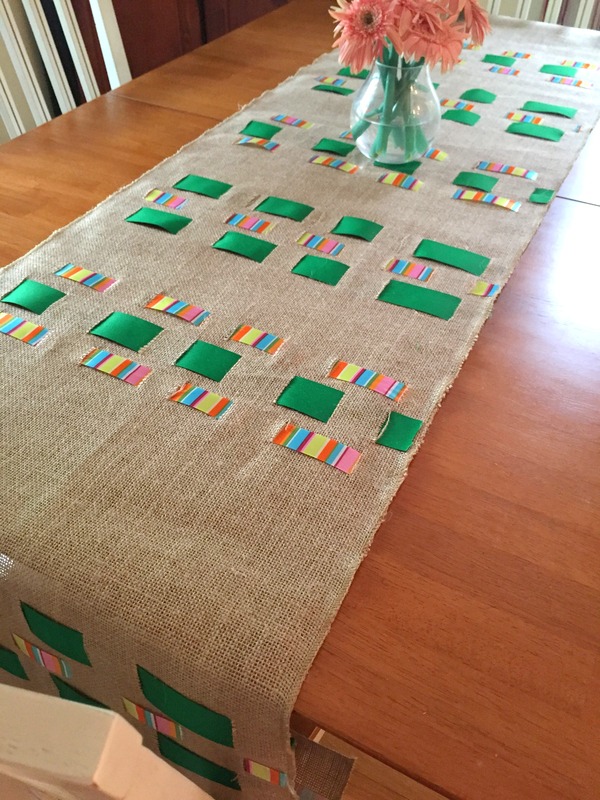 And voila – an adorable, colorful handmade burlap and ribbon table runner. 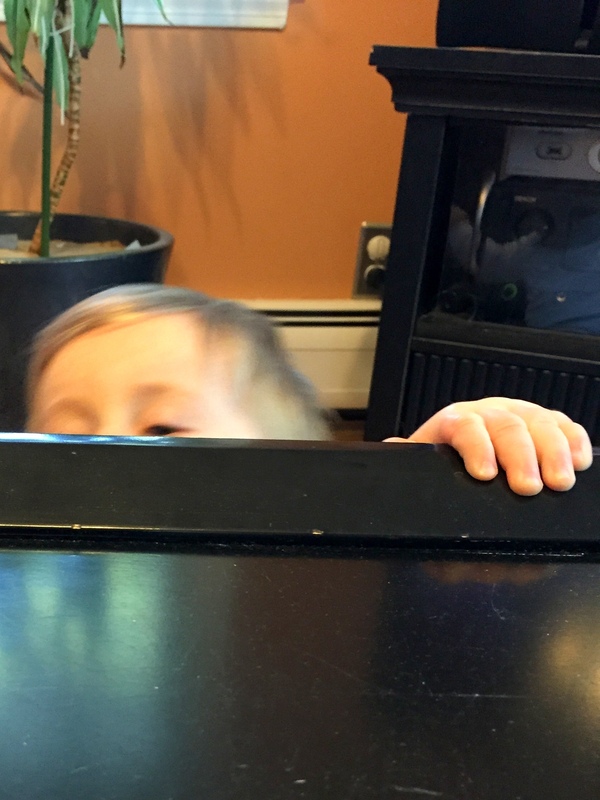 You never know when this little one will pop up! 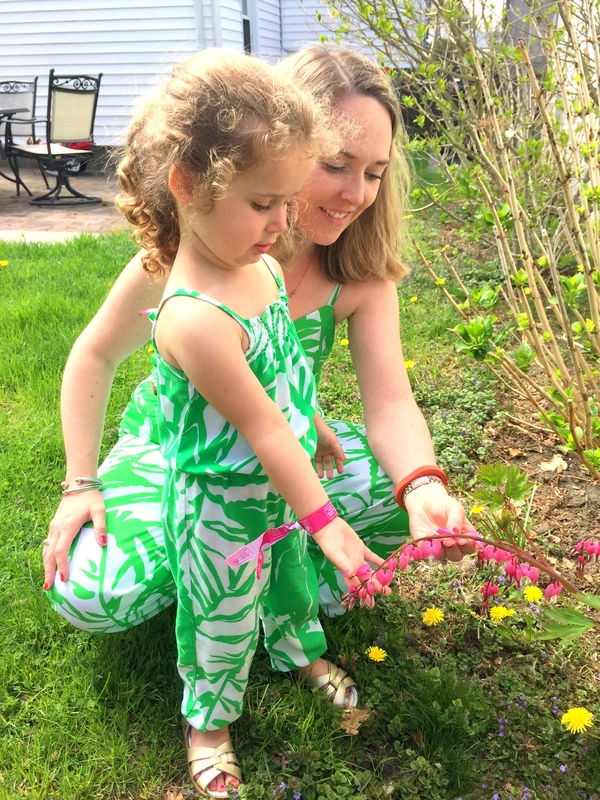 Coordinating #lilyfortarget outfits on Mother’s Day. We told my parents that we were headed to Newport, RI for mother’s day weekend and they asked if we were going to the Volvo Ocean Race. We had never heard of it so we went to their website and after a little research we decided to check the event out while we were in town. Well, it was SO fun. 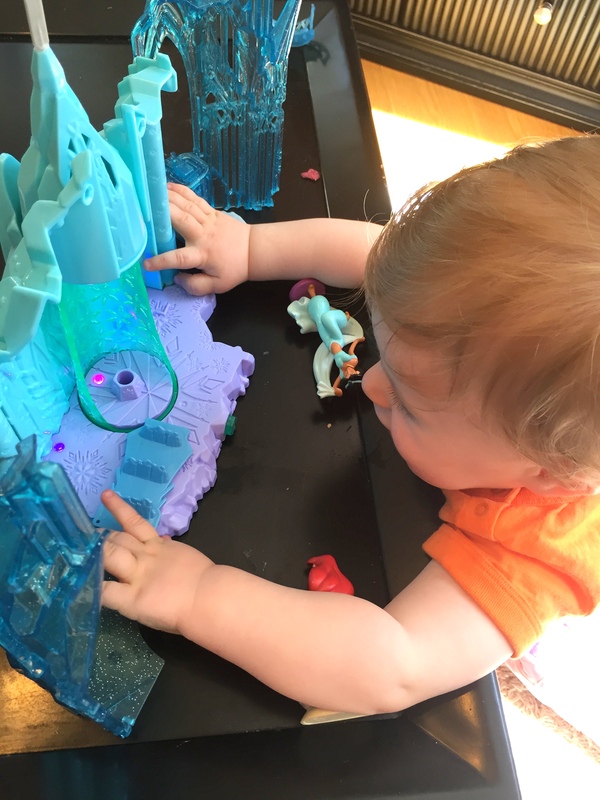 I hadn’t even intended on blogging about it but you know when you have exactly zero expectations about something and it turns out great and that makes it even greater? 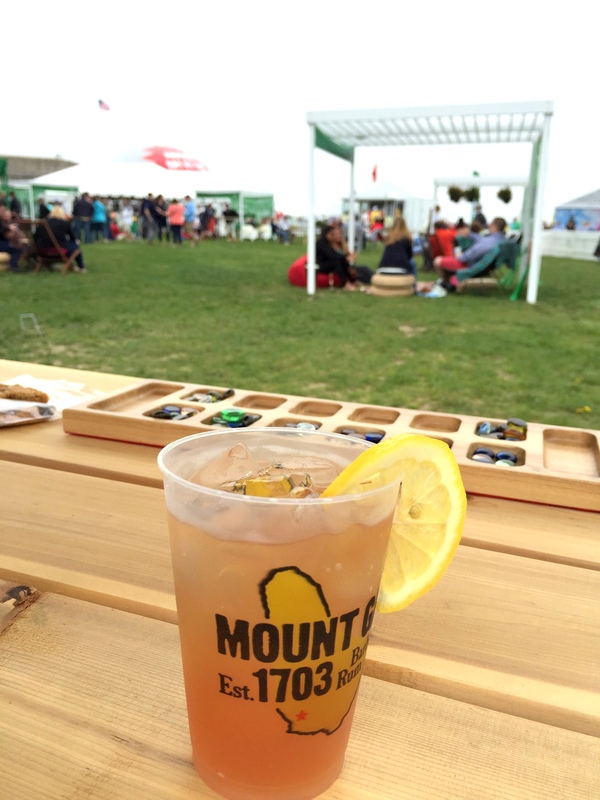 That’s sort of what happened with the Volvo Ocean Race Stopover event in Newport, RI at Fort Adams National Park. First, the Volvo Ocean Race is basically a group of 7 sailing teams racing around the world (actual ships are pictured above). There are 9 legs of the race with 11 ports (the only port in the US this year is Newport). In each port they set up a race village where you can learn more about the boats, the teams, and have a little fun with the activities. 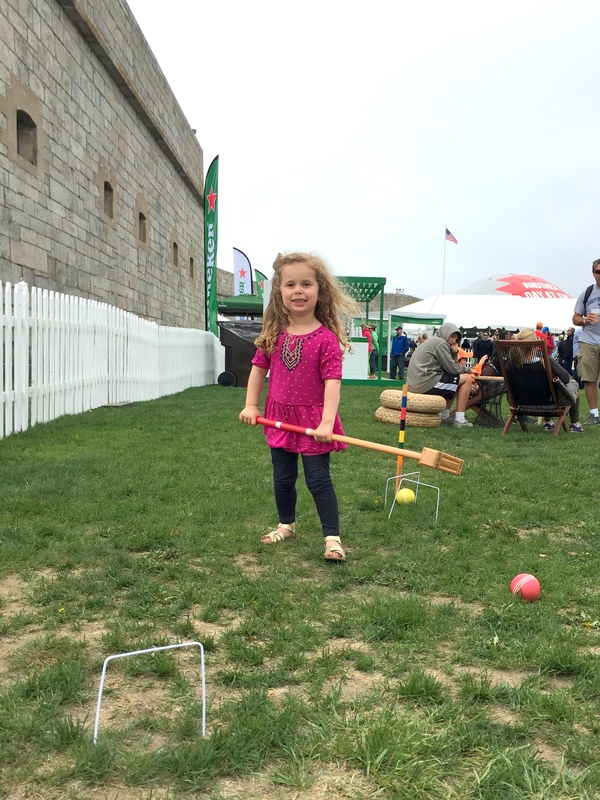 The village at Fort Adams in Newport, RI will be set up through May 17th so there is still time to go! 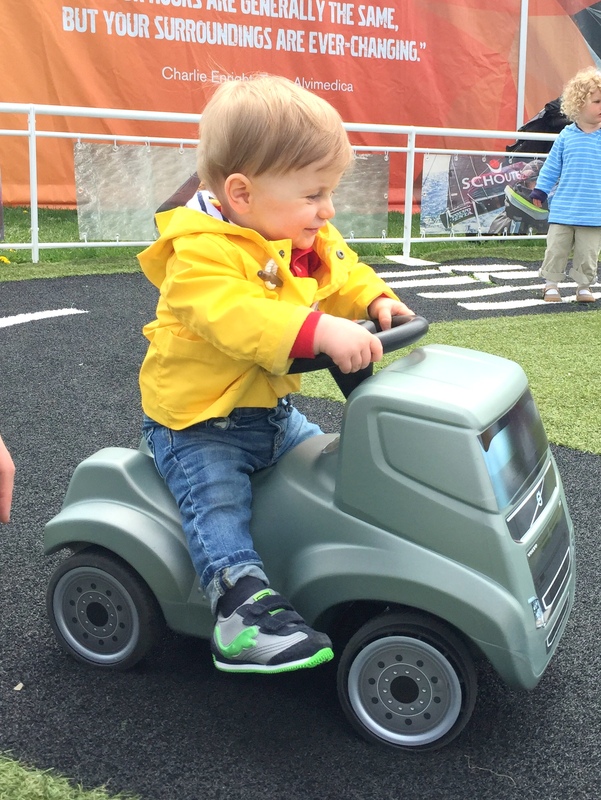 The event is for all ages, we were pleasantly surprised to find a decent amount of fun activities for kids like this one – M sure did love “driving” this little Volvo truck through the course. There is an area where you get carded (children are allowed in) that was just lovely – all sorts of lounge areas set up, each one based on one of the countries where the stopovers are with coordinating games. They sell food, beer, champagne, and yummy mixed drinks. Again, we had NO expectations of this event so we ended up bringing in our own food (which you’re welcome to do) but the menu looked great (this area sold higher end food like flatbreads and fresh burgers, another food area had clam chowder and hot dogs). It was great to sit, eat, have a drink, and let Z play some of the games they had set up. 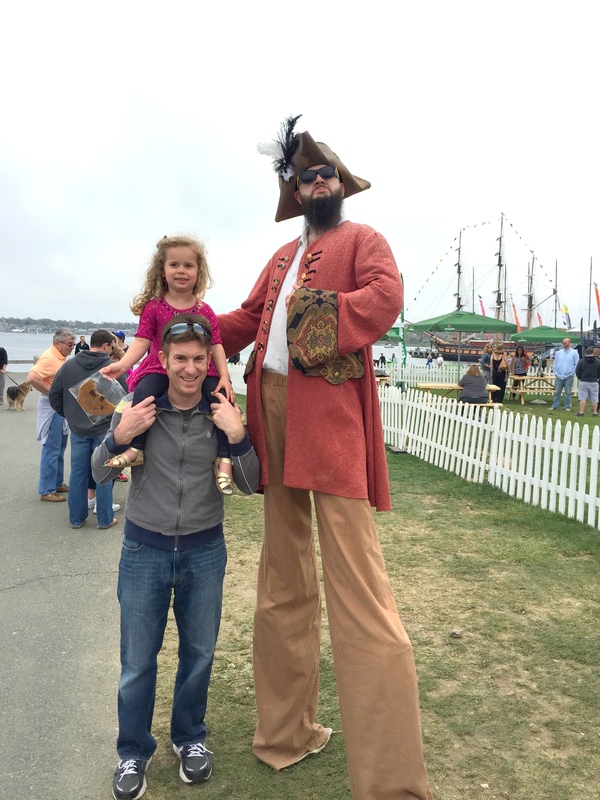 Also, she was obsessed with this pirate on stilts (who was there to promote the rum sponsor)! Of course the event is really all about the sailing. It was neat to visit the cross-section model of one of the ships that’s racing. 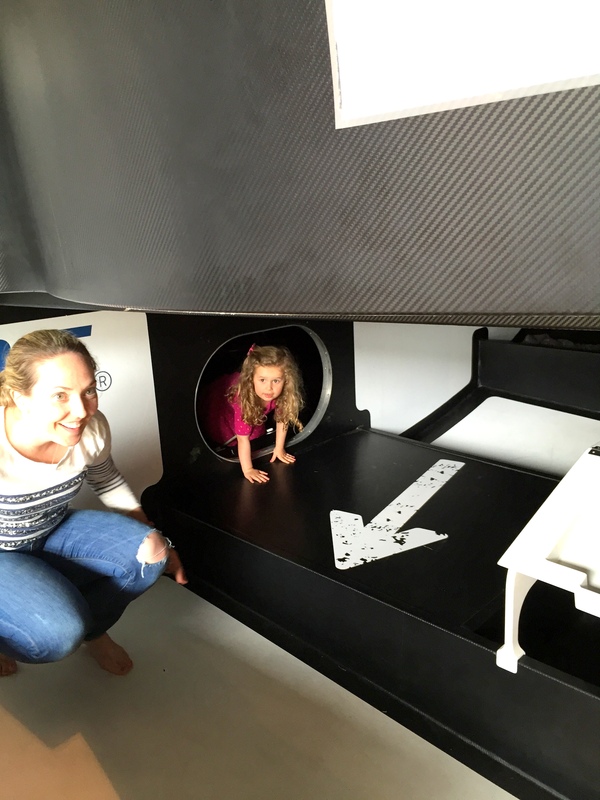 Once you took your shoes off you were free to roam through, see where they sleep (tiny bunk beds! ), work (tiny desk! ), and basically crawl around the hull to get everywhere. The last fun area was within the actual fort on the park. There were life size chess and checker boards, giant Jenga, and more. 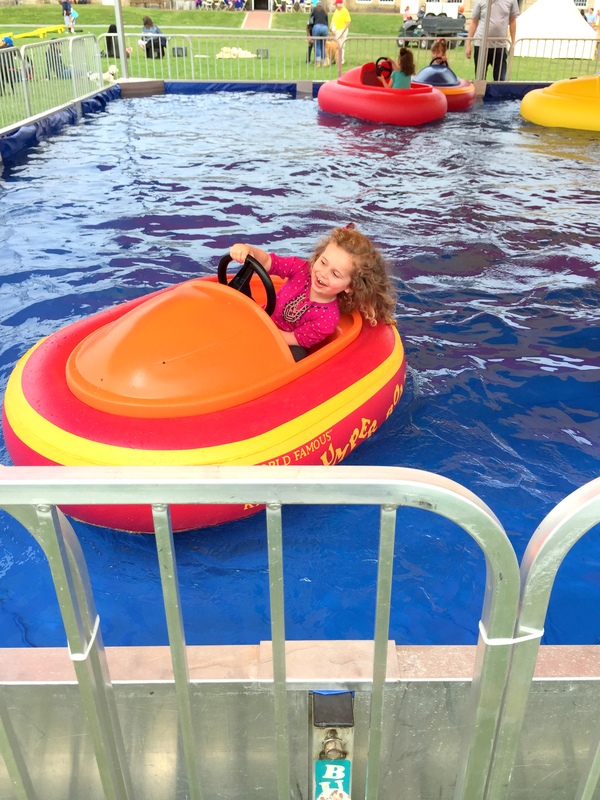 There was also this little bumper boat area for kids to “sail” their own boats, which was great for us since Z had been asking to ride a boat all morning. She jumped right in and zoomed around the pool, it was pretty hilarious. 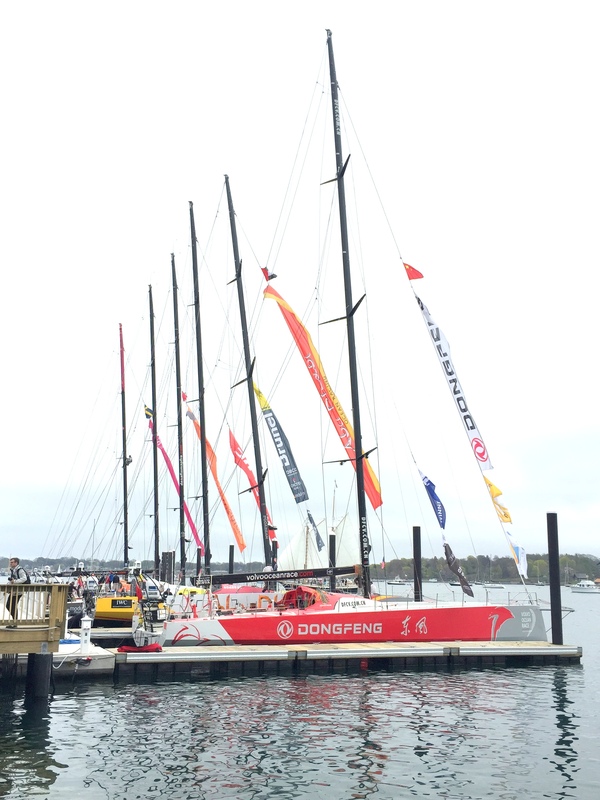 The Volvo OCean Race Stopover event in Newport was really very fun. The event is free to attend and you’re welcome to drive, take a boat shuttle, ride your bike, etc… to get to Fort Adams. We drove and it was only $10 to park (next weekend will be $20 to park but free if you drive a Volvo). Next Sunday is when the ships take off for leg 7 on their way to Lisbon. Let me know if you go! 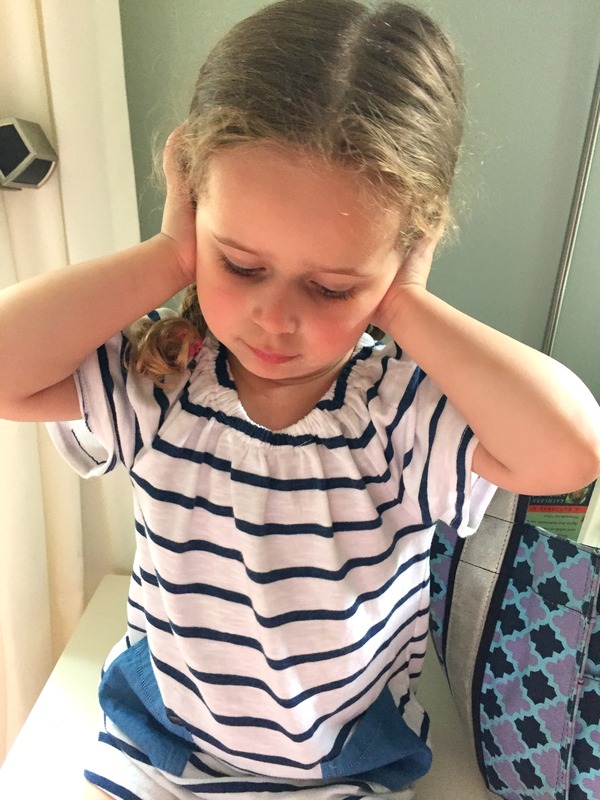 We’ve had summer-like temps around here lately and I have felt rather unprepared – I was out of sunscreen, my sandals were packed away, and I really felt like I had nothing to wear. I haven’t worn my “normal” summer clothes in 2 years now (I was juuuuuust post-partum last summer so my regular clothes weren’t happening just yet) so I wanted to find a couple pieces for summer to freshen up my summer wardrobe. 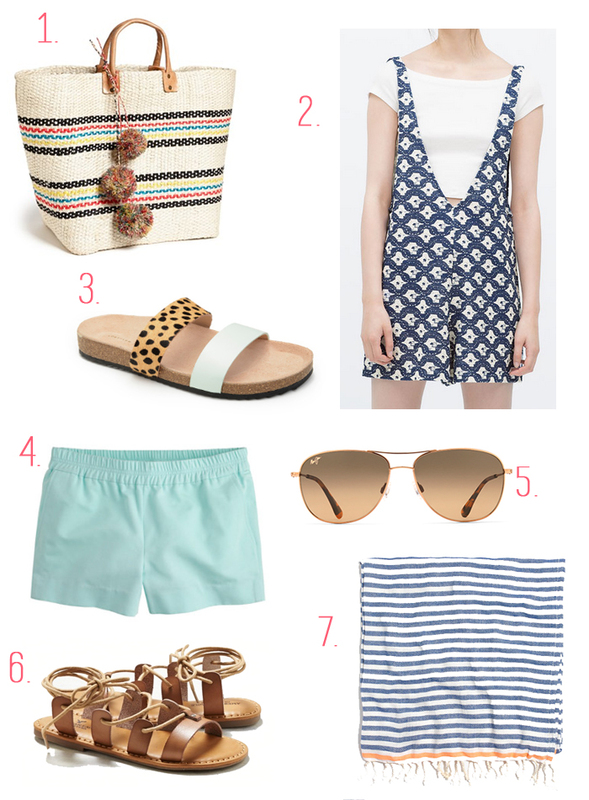 Here are a few things I’ve found perfect to be wearing (and using) all summer long! 1. I love a straw bag for the summer as a catch all for my stuff, kid stuff, and all the extras for summer like sunscreen and hats. This Mar y Sol Caracas tote could not be cuter! The price-tag is a bit much for me, but I have a DIY for the blog for a similar straw bag look in the near future! 2. I jumped on the romper bandwagon years ago (if you remember) and when I saw this jumpsuit with straps from Zara I knew it would be adorable dressed down with a tee for the playground or dressed up with a collared shirt and heels for dinner out. A couple notes: these look a little like a wrestler’s outfit when it’s not on you, but don’t be afraid – so. cute. on. It also runs long, I had to do a little sewing and shorten my straps but taking out like 6″ of fabric. 3. Another pair of sandals I’m dying for this summer are these paz two strap sandals from Loeffler Randall – adorable, right? 4. These cotton faille pull-on shorts from J. Crew are the best. They run a little big, but I always size up in shorts anyway, so I didn’t mind. Wear them to the beach over your suit or with a tucked in chambray for a more put together look. 5. For our birthdays in the fall my husband and I got each other new sunglasses, I opted for these Maui Jim cliff house aviators and I love them! 6. American Eagle is killing it in the summer sandal department – yes, AE! I personally love these ankle tie gladiator sandals and at $35 you can’t beat the price. 7. We are constantly setting up picnics and/or little areas for M to crawl around while we’re at the playground so I like to have a fun, bright towel with me at all times. Turkish towels are so soft and colorful like this turkish-t beach candy towel from Madewell. I love the colors together! What are you summer must-haves?